The story: As the title bluntly indicates, this movie tells the origin of Wolverine, although parts of that origin have been changed due to the new timeline created by X-Men: Days Of Future Past. The film opens in Canada, 1845, where a sick young boy named James Howlett manifests his new mutant abilities by killing his birth father in a fit of rage. Logan and his half-brother Victor Creed run away from home and become soldiers, fighting in over a century’s worth of major conflicts thanks to healing factors that effectively make them immortal. After the Vietnam War, they’re approached by Major William Stryker to join a team of mutants searching for rare metal called adamantium. That metal will eventually be grafted onto James’ skeleton by Stryker’s Weapon X program six years later, and in order to get James (now going by his father’s surname, Logan) to participate in the procedure, Stryker tricks him into believing Victor has gone rogue and killed James’ lover, Kayla Silverfox. 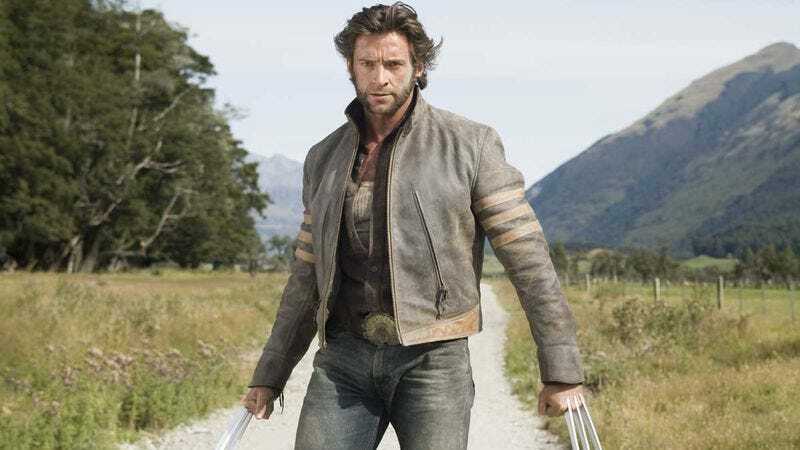 Wolverine is what emerges after the procedure, and he escapes Stryker’s facility in a feral panic, running until he discovers a kindly old couple who take care of him until their untimely murders. Wolverine reunites with his old teammates and meets the Cajun hustler Gambit as he tries to piece together Stryker’s plan, and his investigation leads him to an island where Stryker is imprisoning mutants and using them for illegal experiments. Wolverine and Kayla (who was just playing dead) help those mutant captives escape, and then Wolverine and Victor face off against the end product of all those experiments: Weapon XI, a.k.a. the Deadpool that everyone hates. Weapon XI has the powers of four different mutants wrapped in one mouthless package, and he engages the two brothers in what is arguably the ugliest fight scene of the entire X-franchise, losing the battle when he’s thrown into a nuclear reactor. The victory is short-lived for Wolverine, though, and he loses his memory and his girlfriend when he’s shot in the head by an adamantium bullet and wakes up next to an actually dead Kayla. He doesn’t recognize Kayla’s body, and leaves it behind as he starts down a new path to rediscover his lost past. Noteworthy events: One of the movie’s post-credits scenes shows Weapon XI’s hand bursting through the wreckage of the nuclear reactor, teasing the return of Wade Wilson’s Deadpool in the future. It takes a while, but he eventually makes it back on screen with a characterization much closer to his comic-book persona. Gambit is also supposed to be getting his own solo feature with Channing Tatum taking over the lead role, but that movie’s increasingly troubled journey to production has made its future uncertain.